If you are in the market to buy a home, you are probably being bombarded with words like "inspection," "appraisal," "prequalification," "assessed value," or "contingency." But what do they all mean? People keep spouting them off at you like you buy a home every other day, so just keep nodding your head like you understand what's going on, right? Buying a home can be very confusing! Today, I want to focus on two terms that often get misunderstood by buyers when purchasing a home: home inspection and appraisal. I have heard the terms "inspection" and "appraisal" used synonymously on numerous occasions. These two items are very different things. As discussed in my last post entitled Home Inspections, an inspection is designed to find major defects associated with a home. A certified home inspector or trusted contractor will perform this task (no license required). An inspection is also a voluntary part of a home purchase. Contrary to popular belief, home inspections are not mandatory in the State of Nebraska. If a buyer elects to purchase a home "as is" (in its current condition) without an inspection, that decision is perfectly acceptable. In contrast, an appraisal is performed by a licensed appraiser for purposes of securing a loan. The appraiser is hired by your lender to review the property and determine a fair market value. The purpose of the appraisal is to support or reject the sales price of the property to guarantee that your lender is making a safe investment in lending you money. The appraised value is a reliable tool for determining the true market value of your property. An appraisal is typically a mandatory part of a home purchase, especially if the buyer is securing a loan through a bank or similar financial institution. Although an appraiser will visually examine the property, he/she is typically not qualified to make a determination about the structural soundness of the property. An appraiser may comment on specific items of concern in the appraisal report because of the influence they have on the value of the property. However, he/she will also note that a qualified inspection should be performed for items in question. One important characteristic that a home inspector and an appraiser should have in common is that neither one should be affiliated with the property or the sale of the real estate in any way. Appraisers and inspectors should always provide you with an independent, unbiased opinion of the real estate condition or value. For additional information on inspections, appraisals, and everything else in between, contact me, Trisha Peters, at tpeters@1strealtysales.com or (402) 375-1477. I can help you find the answers and the home you have been seeking! Welcome Home. As we approach the busy spring buying and selling season, it is necessary to touch on an important topic. Most of us have heard or found out first hand that the purchase of a home will be the most expensive purchase we make in our entire lifetime. According to the National Association of Home Builders (2014), the average buyer will stay in a home for 13 years. With so much at stake, why do we tend to leave so much to chance? Many buyers are now opting for a standard home inspection as part of their purchase to ensure that the home they are purchasing is structurally and mechanically sound. The average home inspector will look for a variety of issues ranging from water leaks and burned out light bulbs to foundation cracks and other structural issues. There are certain things to look for when selecting a home inspector. As with any profession, an inspector with years of experience is a plus. You might want to ask for a resume highlighting his/her experience level, education, training, and references from past customers to determine the inspector's qualifications. Many states do not require home inspectors to be licensed. This means that they are not governed by any laws or regulations in regard to the performance of their duties, and they have little or no training in their field. And, you're going to let this person look at the biggest investment of your life? Scary, right? 1. Locate an inspector who is a member of the American Society of Home Inspectors (ASHI) or the International Association of Certified Home Inspectors (InterNACHI). Members of those organizations are subject to a code of ethics for certified home inspectors. ASHI's guidelines have been established as the industry standard and include the following areas of inspection: structure, extriors, roofing, plumbing, electrical, heating, air conditioning, interiors, ventilation, and fireplaces (you can visit www.ashi.org or www.nachi.org for additional details or to locate a certified home inspector). 2. Sometimes a certified home inspector is hard to come by in a small community or maybe you are only looking for certain areas of the home to be inspected (i.e. plumbing or HVAC). If you're options are limited, try contacting local contractors with a reputation for being fair and honest about repairs that need to be done. Friends and family can often point you in the direction of a reliable contractor who can provide feedback on the integrity of a structure and its components. 3. Ask your real estate agent for a list of local experts in the area. He/she can recommend a variety of inspectors or contractors to get you started. You should always take the time to contact the people on the list to make sure you are comfortable with them and their level of experience before hiring them to do an inspection. 4. Make sure your inspector is bonded and insured. An inspector who has taken these measures has already taken steps to ensure the buyer and seller are better protected. Homebuyers are typically encouraged to accompany their inspectors during an inspection so you can ask questions and ensure the inspector is taking the time to look over the components of the home carefully. Try not to be distracting to the home inspector as he/she may miss items if you try to engage in friendly banter throughout the inspection. However, don't be afraid to question certain comments or items that are brought to your attention. Be aware that home inspectors are simply required to "observe" certain items according to the accepted industry standards. This might mean that your inspector "observes" the roof on the home you are buying from the ground. Without climbing on the roof, they might not be able to see certain areas of damage that an up close inspection would uncover (Scherzer & Andrews, 2014). Although home inspections are designed to find most of the major defects associated with a home purchase, they are often delivered with a disclaimer that the property is inspected to the best of the inspector's ability under the conditions of the inspection. Keep in mind that purchasing a home in the winter might not allow for a thorough exterior inspection since snow and ice can prevent inspectors from seeing certain defects. Likewise, if large amounts of personal property are blocking an inspector's view of certain components of a home, the inspector may note that items were blocking his/her view, therefore it was impossible to inspect that portion of the home. There are certain remedies to help you achieve better results, however, every circumstance is different. Inspections are most often performed once a home is under a purchase agreement. So, what happens if the inspector finds serious defects with a home and you have already agreed to a price? Most generally, the contract is contingent on a "satisfactory" home inspection. This means that the contract can be amended to accommodate for repairs or improvements as deemed necessary by the home inspector. Often times, a buyer and seller might also seek a second opinion on items of specific concern. The results of every inspection are handled on a case by case basis once the inspection is received. As you can see, a home inspection can be a very involved process. It can be difficult to dive into these issues on your own, so trust the advice of a real estate professional to help guide you through the process. Feel free to contact me at (402) 375-1477 with any questions you might have regarding a home inspection for your next home purchase. Welcome Home. Emrath, P. March 4, 2014. "Latest Calculations Show Average Buyer Expected to Stay in a Home 13 Years." National Association of Home Builders. Raise your hand if you've been in a winter funk. We are well into the long stretch of winter that remains before a sustained spring thaw, and all I can say is thank goodness for the warmer temps this week! A day like today can really work wonders one's attitude and outlook. I was getting to a point where I didn't know how much more subzero weather I could tolerate. It's depressing. However, I am thankful that we haven't been getting the snow and ice our counterparts in the eastern part of the country are experiencing. Things could be worse. Like me, most of you are probably getting spring fever. It's that itch to hop in the car and go somewhere or at least to get outside and breathe the fresh air. If showing houses doesn't give me an excuse for getting out of the office on days like today, I make my own. You might see me at Dollar General with both arms full of office supplies because I've been procrastinating a trip to the west edge of town since they moved the store from its convenient location across the street. Maybe I'll to run into you at the post office, or you just might catch me at the car wash polishing my wheels. Anything for a few brief moments outside! So, I'm begging you. Let's go look at some houses before the frigid cold settles in again! 819 Lincoln Street - Adorable cottage-style home, 3-bedrooms, Bressler Park view! 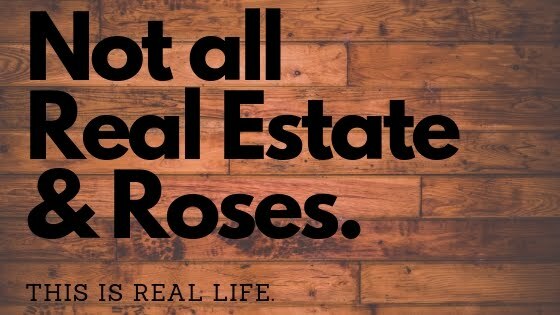 If you are buying or selling, contact me at 1st Realty to for help with your housing needs this spring. Or, if you see me out and about playing hooky on these nice days, don't hesitate to stop and visit about the local housing market. Getting into a new home or out of your existing one can do as much good for your attitude as the weather! Welcome Home! It's official. My husband and I have not celebrated a New Year yet without having some sort of major home remodeling project in the works. We ended 2013 with the joy of replacing our 13 month old water heater which unexpectedly started leaking right after Christmas. If you remember, in November of 2012, we switched out the old-as-the-house-gas-hog for a more efficient electric model. Guess they just don't make 'em like they used to! We rang in the New Year in style by prepping for new windows and doors which were installed last week. No more draft coming in under the front door (and judging by the amount of dust coating our living room furnishings, the saws-all must have let that door know who's boss), no more frozen midnight toilet seat from the draft in the bathroom, and no more curtains blowing in the south wind. At least we didn't end up replacing windows on the coldest day of the year thus far! Our new energy efficient, argon filled, double paned windows were certainly put to the test this week. So far so good. This year's resolution is to not have any more projects in the works by 2015 (yeah, right)! Many of you have also probably made some resolutions of your own. I'm hoping a few of you have set a goal to buy or sell a home this year. Even though it is cold outside, now is a great time to buy and/or sell. Sellers are motivated to get their homes sold this time of year. As mentioned in a previous post, fewer buyers are in the market for homes during the long winter stretch from January to March. This motivates sellers to strongly consider any and all offers. However, you have probably noticed that housing inventory is low as we start out the new year. This means that those of you on the fence about listing your home until the weather warms up also have less competition right now. This increases your odds of selling in a shorter period of time and commanding a higher price for your home. We have buyers waiting anxiously for new listings, and now is the time to get your house in front of them while those resolutions are still fresh in their minds. Let me help you keep your New Year's resolution to buy or sell a home in 2014. Contact me at 1st Realty by calling (402) 375-1477 or e-mailing tpeters@1strealtysales.com to get the inside track to our new listings. Cheers to a wonderful year ahead! Welcome Home.